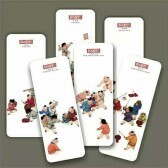 This is for a set of 5 Chinese new year greeting cards. 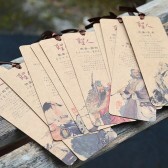 On the card are traditional Chinese paper-cuttings of propitious item. 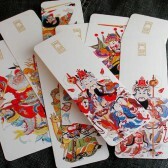 Also on the cards are golden Chinese symbols for new year greetings. 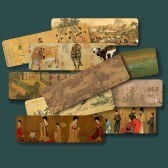 5.9" X 8.7" (15cm X 22cm), folded paper cards, envelopes included.